King Chambiecco also known as Chimkwezamau, is a Malawian dance-hall artist famously known for blending traditional genres with dance-hall music as well as possessing a unique rapping and singing style. King Chambiecco was raised in an area known as “Chitete”, a micro ghetto within the heart of Kasungu, Malawi’s main agricultural district and a home to Malawi’s first president, Kamuzu Banda. 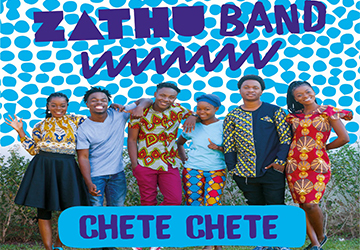 Chimkwezamau developed a keen interest in music at a very tender age. He grew up listening to artists like Beenie Man, Bounty Killer, Sizzla Kalonji, Elephant Man, Mad Character, Luciano and Buggle Tanks. Together with peers, King Chambiecco formed a band using home made instruments. As time passed, the band started to grow and made an impact in their community. When King Chambiecco reached Secondary school, he started interacting more with people in the music industry and this helped him to kick-start a career in music. After playing with a local band in Kasungu for a while, King Chambiecco decided that it was high time he tested his crafted in a recording booth. In 2006, he recorded his first ever single titled “Ukapolo” (Slavery). He then together with friends like Mfumu Kaliwo (a reggae artist based in Kasungu) formed a clique whose sole purpose was to help each artist promote their solo work as well the group’s music. In 2009 King Chambiecco decided to concentrate more on his solo career. Between 2009 and 2013, he recorded and released a lot of songs that ended up becoming anthems in Kasungu, the central region and a few other districts in Malawi. Some of the singles he released were; “Kachere”, “Lero”, “Tivina”, “Anga alikuti”, “Password”, “Pakamodzi”, “Mkazi Tabwera feat Mafunyeta and NesNes”, and “Kuli Luso”. King Chambiecco is acknowledged for his performances and a vibrant stage presence. Apart from Kasungu, he has also performed in several districts among them; Lilongwe, Salima, Mzuzu, Mzimba, Nkhotakota, Ntcheu and Dowa. He also made a number of surprise performances during the late Mafunyeta’s music tours as they were very close friends. In early 2014, Prime Time Media Record Executive, Edward Kankhomba, bumped into King Chambiecco’s music and developed an interest in the artist. Later they met in Kasungu, talked about his music and a possibility of giving King Chambiecco a record deal under Prime Time Media. On 01 March 2014, the deal was struck. King Chambiecco was given a 2 year management and marketing contract. He was unveiled to the public on 22 March 2014 at a special show where he performed alongside the other Prime Time Media artists Gwamba and NesNes.